The Museum of SuperNatural History™: Did Sasquatch Says “Cheese” On Suburban Surveillance Camera? 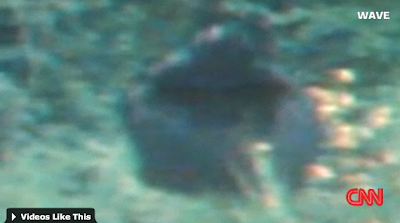 Did Sasquatch Says “Cheese” On Suburban Surveillance Camera? Case in point - a frustrated gardener who couldn’t figure out why his green beans weren’t growing the way he had hoped they would placed a surveillance camera in his backyard hoping to catch the varmint who was co-opting his crops. Turns out the creature was no more rascally rabbit, it was Big Foot. Don’t believe us?